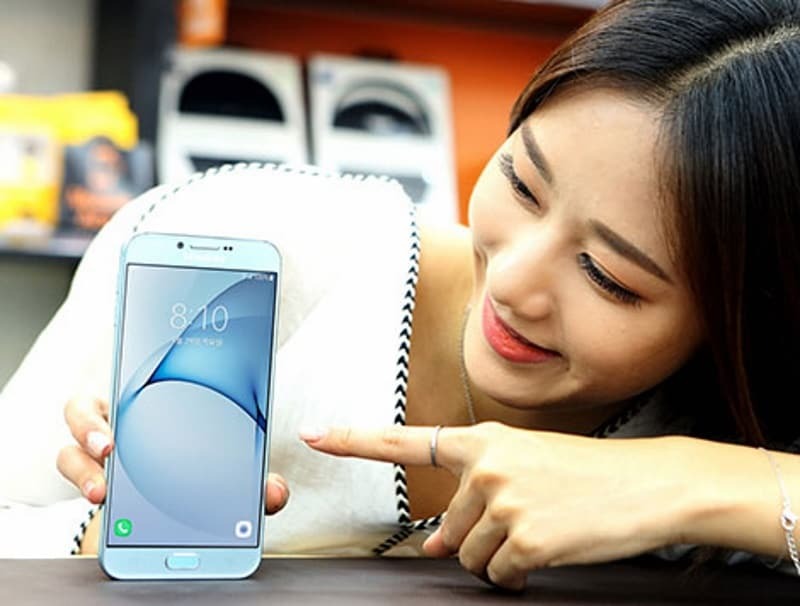 Samsung has finally unveiled the long-rumoured Galaxy A8 (2016) in its home market, South Korea. The metal unibody Galaxy A8 (2016) is priced at KRW 649,000 (roughly Rs. 39,000). The smartphone in Blue colour will be available via SK Telecom, with pre-orders going live starting October 1. There is no information when Samsung is going to launch it in other markets. The dual SIM (Nano+Nano) supporting Galaxy A8 (2016) runs Android 6.0.1 Marshmallow out-of-the-box, and features the new Grace UX. It is powered by Samsung’s own octa-core Exynos 7420, with four Cortex-A57 cores clocked at 2.1GHz and four Cortex-A53 cores clocked at 1.5GHz. The smartphone bears 3GB of RAM. It packs a 5.7-inch full-HD (1080×1920) Amoled display. The Galaxy A8 (2016) is a successor to Galaxy A8 that was launched in 2015. The camera setup in the smartphone comprises a flash module accompanying 16-megapixel rear and an 8-megapixel front camera. Both the cameras can record high definition (1080p) videos. For the inbuilt storage, Samsung offers 32GB and 64GB variant, both expandable via microSD card support (up to 256GB). The Galaxy A8 (2016) supports 4G LTE, with other connectivity options including Bluetooth v4.2, Wi-Fi (802.11 a/b/g/n/ac), WiFi Direct, Hotspot, NFC, GPS, A-GPS, Glonass (or BDS according to different markets) FM radio and Micro-USB 2.0. It packs a 3300mAh battery, which is better than the 3050mAh seen on its predecessor, the Galaxy A8. Other remarkable features of Galaxy A8 (2016) are an Always-On Display and a fingerprint sensor mounted on the home button, which comes with Samsung Pay compatibility.